We are the only people responsible for our feelings, thoughts, and behavior. 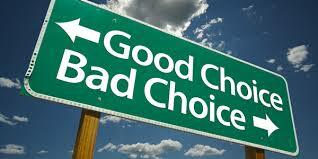 Nobody “makes” us feel, think, or do anything, we always have choices! One of the great challenges of life is to rise above unhealthy behavior not only in ourselves but in those around us. In ourselves, we are responsible for working to make our behavior more healthy. In those very close to us such as family and close friends all we can do is encourage them to do the work and relinquish our false belief that we can do the work for them. In others, the best idea is often just so avoid being splattered with the psychic muck that flies from their tires!